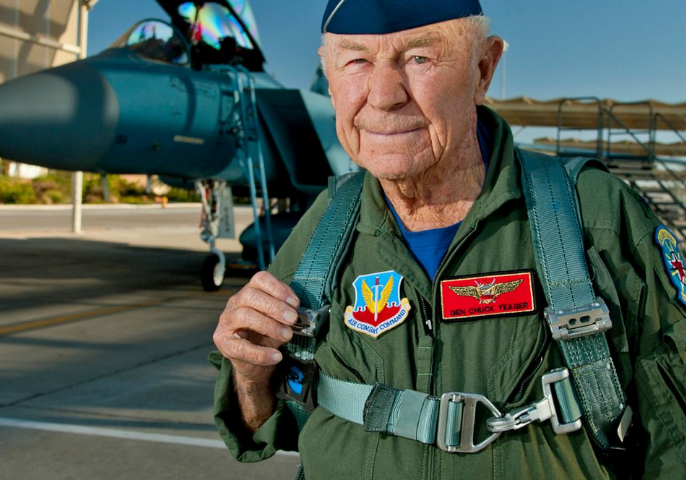 Chuck Yeager: A very slow test pilot who broke the sound barrier. The Right Stuff. Astronauts. Jet planes. Test pilots. The stuff of childhood dreams. The stuff adults might want to study again. 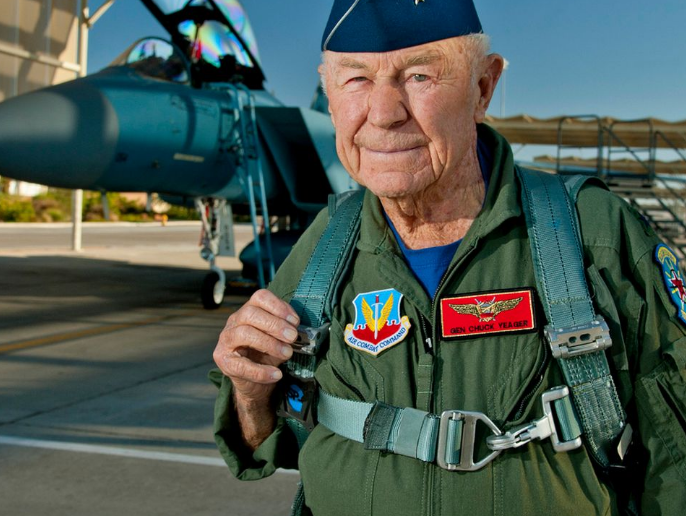 Chuck Yeager was one of my childhood hero’s and still is one of my adult hero’s, but not simply because he broke the sound barrier. If you’ve ever read his autobiography, you get a picture of a self-deprecating, fun-loving, Appalachian born man who was born to fill his destiny in history. He loved to fly. He had the physical abilities for it. And he had grit. Plenty of it. You see….Chuck was born into an extremely poor family in the mountains. He only got a high school education and barely that. But he was drafted as a pilot during WWII and became a flying ace, downing five enemy aircraft in a single day. After the war, he became a test pilot. He took on the most dangerous experimental aircraft the engineers could dream up. Weird wing designs. Phenomenally powerful jet engines. He succeeded on most flights, pushing the envelope closer and closer to the “wall in the sky” that most said couldn’t be broken. Some flights didn’t go so well. One flight in particular gave him burns over a large percentage of his body which required tremendous physical pain from which to recover. His grit kept him pushing on, truly focused on the job at hand. On October 14, 1947 in Glamorous Glennis, he blew a hole in that mythical wall and the rest is history. His achievement propelled NASA to the moon and beyond. 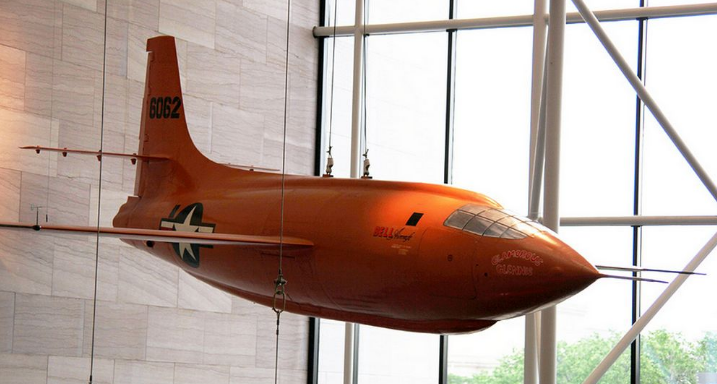 If you’ve been to the Smithsonian Air & Space Museum in D.C., Glennis is hanging from the ceiling above your gazing eyes still today. So what was Chuck’s edge? What was his secret? Chuck was a slow pilot. He knew his limitations as a professional pilot due to his lack of formal education could lead to disaster. He didn’t understand the advanced mathematics in play to bend that curve of speed. So, he compensated by partnering with a gifted engineer and together they poured over the technical manuals. They reviewed the safety protocols. They imagined the unimaginable happening during test flights. They suggested changes to the aircraft design for hydraulics, flight controls, even dashboard gauge design. Before Chuck pushed the throttle forward on an aircraft for takeoff, he knew more about how the aircraft would actually fly than most of the college and PhD engineers who designed and built it. He actually would delay flights until he and his engineer were completely ready for the flight. It perturbed his commanding officers quite often, but it was his life on the line and millions of dollars in aircraft at risk, so they swallowed hard and kept their mouths shut. Yeager’s dedication to going slow until he was ready to go fast saved his proverbial rear end time after time because he was prepared. I share this bit of history because it fits perfectly into running successful rentals. Every landlord and investor dreams of making huge piles of money from their rental units. Not every landlord and investor puts in the hundreds of hours reading over legal documents, property management agreements, staying organized with their record keeping, learning the new statutes and local ordinances; doing the gritty work. Not every landlord and investor will role play the hundreds of “What if this happens?” scenarios with their trusted advisors. Then, when disaster ultimately does happen, they are unprepared to react quickly and correctly to save a relationship with their tenant, to protect the value of their asset, or to protect their legal exposure. They’ve “bought the farm”. What is truly remarkable is that all of these crash & burns can be avoided or at least mitigated by remembering to do what Yeager did every time he flew an aircraft. Even if you are starting from a point with little “formal” education like Yeager, you can acquire it easily. It just takes time, determination, and grit. Find the professionals who can work with you to fill in your experience gaps, who can fill in your knowledge gaps. So the next time you find yourself wanting to speed up to break your next real estate barrier, slow down. 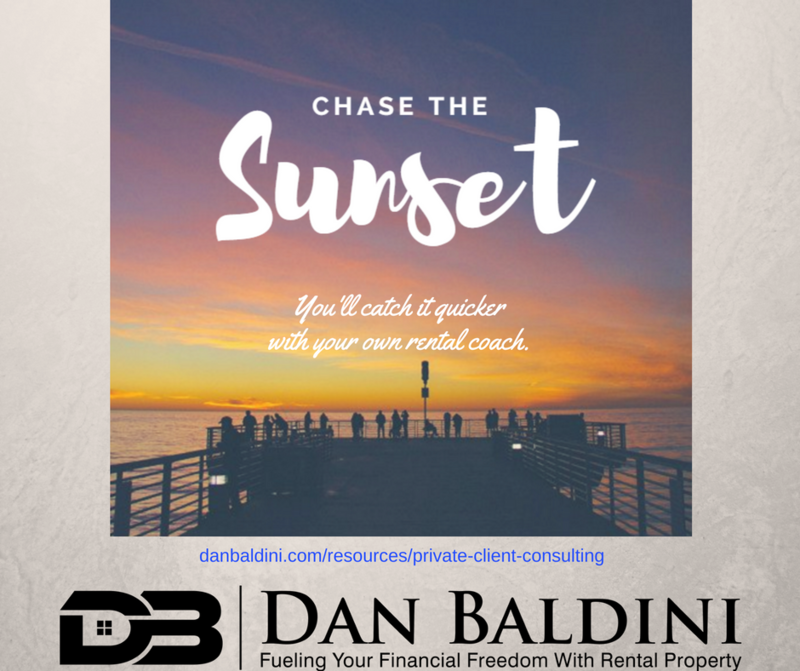 You’ll not only live to rent out your units another day, but you’ll reach your the financial freedom faster, too. Be like Chuck and break your own barriers with your own personal rental property coach.